Intellectual Ventures is often criticized for being a patent troll, but Nathan Myhrvold talked on Wednesday about a couple of the actual products that are coming from his invention company. The company has designs for new nuclear reactors as well as for a new type of broadband antenna, both of which have been spun out as separate companies. Of course, much of Myhrvold’s business — and the ensuing animosity — stems from his company’s method of amassing huge patent portfolios and then either licensing them or suing over patents. 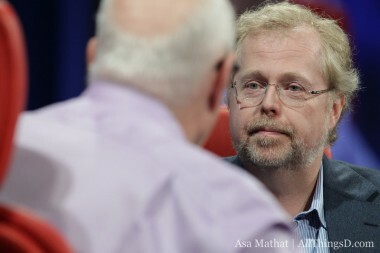 And that’s the area where Walt Mossberg and the audience took Myhrvold to task. That said, Myhrvold maintains that his company is aiding innovation, and that he doesn’t mind if he’s not the popular kid in the D class.